Hear rising stars from The Juilliard School perform selections from some of classical music’s best-loved composers in The Greene Space. Leave the emails, phone calls, and stress behind, and settle in for an hour of musical serenity. Performing today will be the Bordone Quartet, from Juilliard’s Honors Chamber Music program. Bordone is an Italian musical term for a fundamental pedal tone, a drone pitch (or pitches) that represents harmonic stability within a piece. While this musical phenomenon is used in Classical music throughout the centuries, notably by composers such as Haydn, Beethoven, Berlioz, and Bartók, it is uncommon for its proclivity for dissonances and unfulfilling resolutions. Fundamental pedal tones have become an important element in other musical traditions globally on the Asian and African continents, and more recently in history, have found their way into inspiring folksy yet patriotic elements in American music. Established in January 2016, the Bordone String Quartet is an ensemble of the Chamber Music honors program at The Juilliard School, and has been featured in recital performances in Alice Tully Hall, the Harvard Club of New York, and Mountain Lake in Orlando, Florida, as well as in a masterclass with David Finckel streamed on Medici TV. Members of the quartet have performed internationally as soloists, chamber and orchestral musicians across the North and South American, European, and Asian continents, and have collectively studied chamber music under members of the Juilliard, Cleveland, Emerson, Guarneri, Shanghai, Takács, Orion, Cavani, Borromeo, Mendelssohn, and Parker String Quartets. Individual members of the quartet have been involved in a variety of projects ranging from international performances and competitions to education programs and teaching to organizations that share music of unusual traditions and motivate social change. The Bordone String Quartet is devoted to promoting and communicating not only cherished works from the chamber music repertory but also the concept of cultural citizenship, that the arts can serve society in diplomatic and grassroots ways. 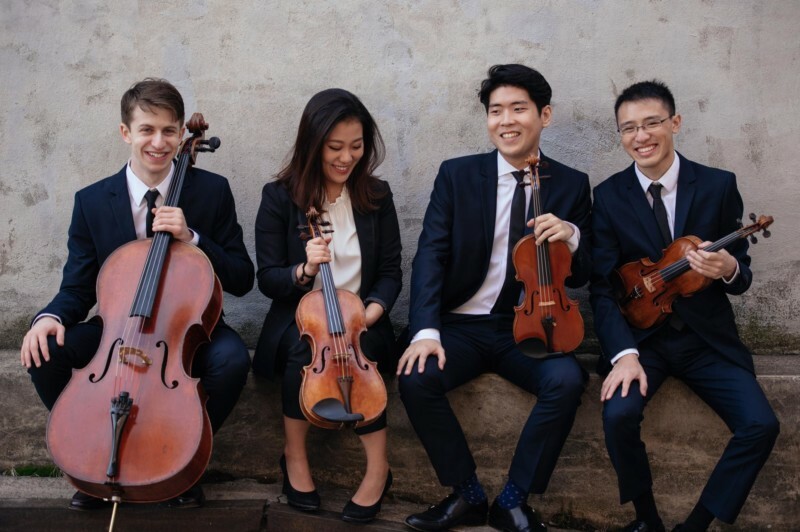 The Bordone String Quartet’s members hold degrees in music performance and other academic fields from The Juilliard School, Northwestern University, and Harvard University, and are all currently pursuing a performance degree program at The Juilliard School. The quartet is currently coached by Roger Tapping and Daniel Phillips.